Sarah Greenough, “Alfred Stieglitz/A Venetian Well/1894, printed 1929/1934,” Alfred Stieglitz Key Set, NGA Online Editions, https://purl.org/nga/collection/artobject/35274 (accessed April 25, 2019). 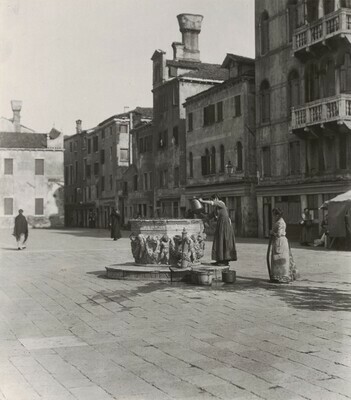 This photograph and Key Set number 158 are views of the Campo Santi Giovanni e Paolo. Greenough, Sarah. Alfred Stieglitz: The Key Set: The Alfred Stieglitz Collection of Photographs. Washington, 2002: vol. 1, cat. 159.